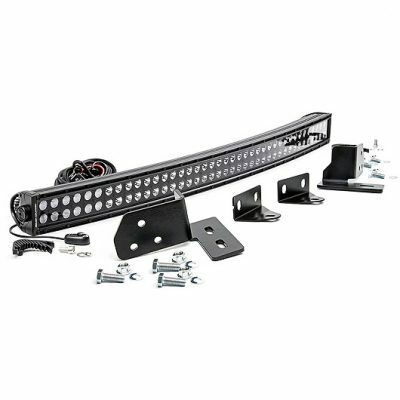 The Dual 8 inch LED Grille Kit contains a set of single row LED light bars. 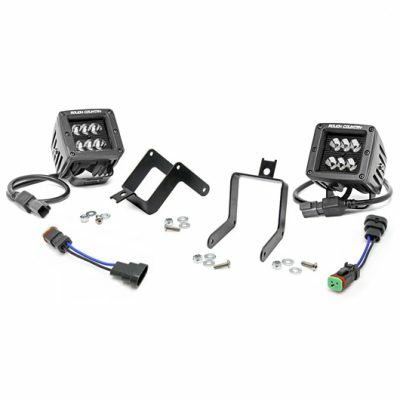 Wicked Warnings offers the black out version of this kit, which features a corrosion resistant black powdercoat on the exterior and white LEDs. 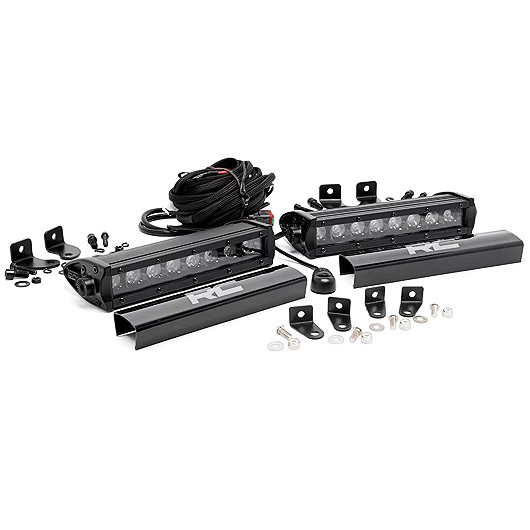 With a combination of 6,400 lumens, 80 watts, and two light bars, this simple and innovative kit offers immense LED output. The Dual 8 inch LED Grille Kit mounts perfectly into the recess of your Super Duty Lariat grille. The light is designed to fit the aesthetic of the Ford Super Duty. Some might even think that it’s a factory option! 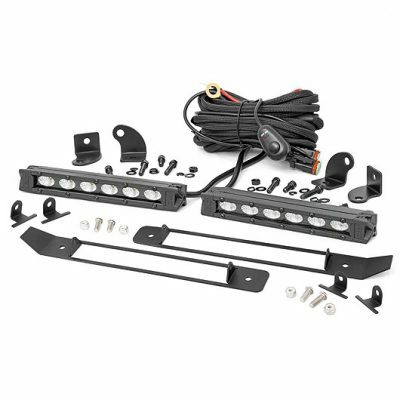 The kit features a simple bolt-on install and a waterproof rating of IP67. The lights are housed in super durable die cast aluminum for unmatched protection against water, debris and dust. The Rough Country Dual 8” LED Grille Kit includes a 3-year LED warranty and the mount includes a limited lifetime warranty. A flat-wound wiring harness with on/off switch for installation is also included. Watch the video featured on this page to see how Wicked Warnings modifies the installation to fit the Dual 8 inch Grille Kit into a non-lariat Super Duty Grille. If you have any questions about the 8 inch LED Grille Kit or availability, please send an email to info@wickedwarnings.com.